Famine has haunted humans for most of their history. In the days of the Pharaohs, whenever the Nile River failed to flood, Egypt starved. Joseph was called in and he organised stockpiling of grain for famine relief. Even mighty Rome suffered famines – in 436 BC thousands of starving people threw themselves into the Tiber. The cold Middle Ages in Europe were haunted by famines. In the 11th and 12th century, famines averaged one in 14 years. Even in England there were 22 recorded famines in the 13th century. In 1235, 20,000 people died in London and people ate horse flesh, bark and grass. 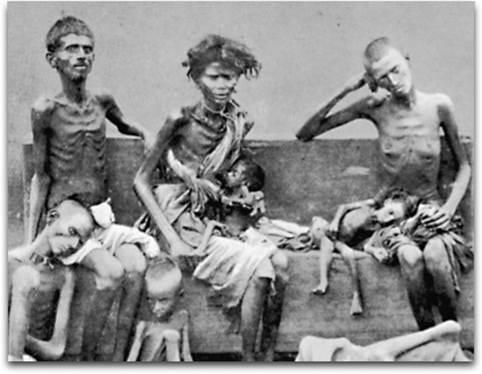 There were great famines in India, Bengal, France, China and Russia. In more recent times, man-made famines were more common in the Comrade Societies – some wit once remarked that “Soviet agriculture has just suffered its 23rd consecutive year of unseasonal weather”. Some famines were deliberate policy such as Stalin’s liquidation of the Kulaks in 1918 and his starvation of Ukraine in the 1932-33, while other dictators like Mao in China and Pol Pot in Cambodia caused famine with destructive collectivist farm policies. Famines eased in Europe and North America from about 1860, partly because crops improved with warmer weather and also because of the great increases in land opened up in the Americas for farming and grazing. But the biggest expansion in food production started with the invention of the coal-powered steam engine – the iron and steel smelted with coal, and the engines, generators and machines powered by coal and then oil, created a food and population explosion. First were the steam-powered traction engines which pumped water and pulled iron ploughs, planters, harvesters, freight wagons and forest logs. Millions of crop-eating draught horses and oxen went to the butchers and no longer consumed half of the farm crops produced. The cumbersome steam tractors were replaced by internal combustion engines burning kerosene, petrol and diesel. 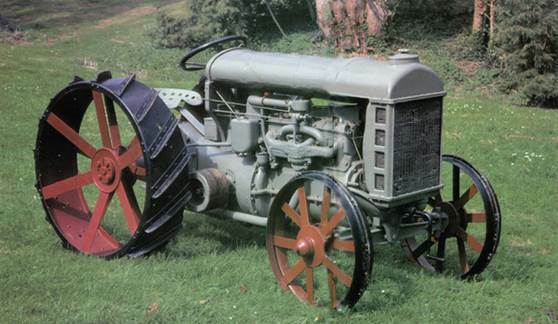 The model T utility and Fordson tractors created another farming revolution with more food produced with fewer food-consuming draft animals and farm labourers. 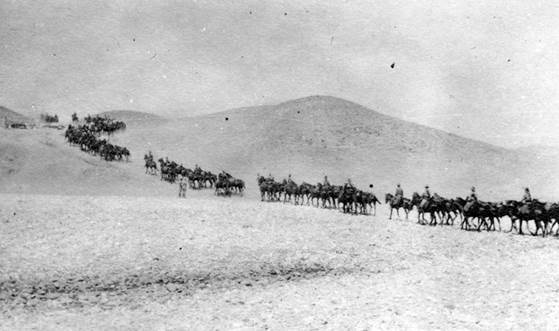 Coal-powered trains and petrol-powered trucks and buses moved food, and motorised artillery, cavalry, baggage trains and ambulances moved armies. Millions of ever-hungry and ever-thirsty horses, mules and oxen were removed from the food and water queues. The vast crop-lands which had been used to produce food for draft animals now produced meat, eggs, milk, butter and grains for humans. Galvanised iron, steel and concrete (all made using two carbon emitting raw materials, coal and limestone) became invaluable for hay sheds, dairies, cold rooms and silos allowing farmers to store farm produce for droughts and winters. The next revolution in food production was the discovery and manufacture of nitrate fertilisers and urea using the natural gases nitrogen, methane and carbon dioxide. These fertilisers, assisted by vast irrigation schemes, gave a huge boost to crop growth. This stunning food revolution based on combustion engines, hydro-carbon fuels, natural gas fertilisers, irrigation and refrigeration has banished famine from the first world. But every system has its limits. Famine is always just a season or two away. It bides its time, waiting for a failure in the complex carbon-fuelled agricultural, transport and storage network that supports every city. When hunter-gatherers experienced food shortages, they followed the rains, scavenged for food and largely survived. When farmers and fences replaced hunter-gathers they cultivated large areas of land to grow grasses and grains for poultry, cattle, goats, sheep and pigs. This created a huge increase in food production, but it also tied the farmers to the land – when drought struck, they could not follow the storms. As farming grew, so too did the dependent cities of factory workers, merchants, tax collectors, rulers, bureaucrats, policemen and soldiers, none of whom produced food. More recently this hungry overhead has been joined by a growing army of welfare and aid recipients, political immigrants and refugees. However, when drought or severe cold threatens the food supply, the cities cannot move away. Just one thing is now required to create a modern famine – widespread crop failure. What causes crop failures? 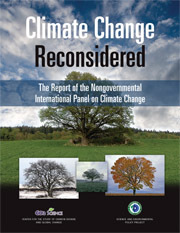 Unsuitable conditions in one or more of just three key atmospheric conditions: temperature (unseasonal frost, snow or heat); moisture (extreme floods or droughts); and carbon dioxide (too little to sustain healthy plant growth). The Little Ice Age ended around the start of the 20th century. Today’s warm climate is very farm-friendly and tends to have most effect on the cold lands of the northern hemisphere, thus increasing the acreage and productivity of the vast crop lands there. Warmth also drives moisture and carbon dioxide plant food out of the oceans into the atmosphere, creating a much more crop-friendly environment. The extra moisture shows up as more precipitation and the extra carbon dioxide we see today makes plants grow faster and stronger. Extra warmth, moisture and carbon dioxide help greatly to increase crop yields and banish famine. However, Earth’s climate is always changing, and there is significant evidence that we are past the warm peak of this climate cycle and are on the road to the next advance of the ice. All we hear from the climate industry and the dark green media are the claimed dangers of global warming. However it is global cooling that poses a dire threat to world food supplies. First the frosts and snow come earlier and stay later – the growing season gets shorter. Then winter snow persists into summer, ice sheets and glaciers advance and boreal forests and tundra invade grasslands – the great northern crop lands are forced to move south. The cold also reduces evaporation from oceans, lakes and streams, thus reducing rainfall. Growing ice sheets cause falling sea levels, dewatering coastal fish farms and breeding grounds. And, in the final blow, cold oceans and lakes absorb more carbon dioxide from the atmosphere, further reducing plant growth. Icy eras reinforce all three crop destroyers: cold, drought and carbon-dioxide starvation. In addition to climate dangers, foolish green zealots in the comfortable western democracies are also nibbling away at the area of land and sea allowed for harvesting food. They also reduce the land devoted to growing food by subsidising crops for ethanol and biodiesel production. They are also seeking global powers in an anti-life campaign to encourage global cooling by reducing the carbon dioxide content of Earth’s atmosphere. Luckily their costly anti-carbon goals will have no effect on the grand cycles of global climate, but they will harm the cost, capacity and reliability of our complex energy-dependent food production storage and distribution system. The Green energy they idolise is intermittent and unreliable – it breeds network instability and power failures. The fierce dog of famine is tethered outside the city gate. Our abundant supplies of reliable energy for the production, harvesting, transport, processing, storage and distribution of food have kept him at bay. But still he waits patiently for foolish politicians or dreadful weather to let him loose. A natural disaster affecting key Asian oil refineries or a naval blockade of the fleet of tankers carrying petroleum products to Australia would stop road transport of food to Australian cities in a few days. Just one decent regional blackout would empty supermarket shelves and create long queues at every service station; two frigid winters would see food prices soar; and a return of the Little Ice Age or worse will see starvation stalking the cities. 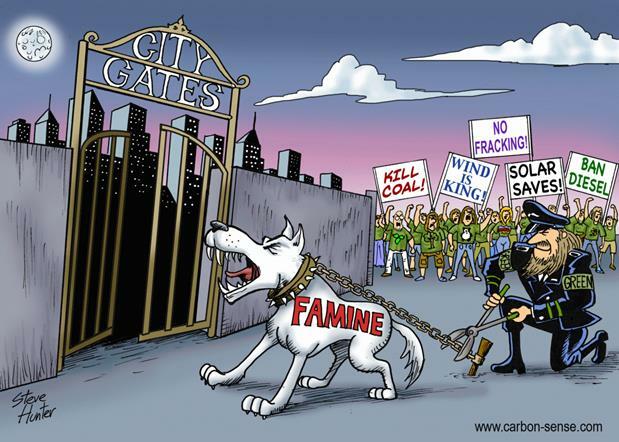 Greens are inviting famine, humanity’s ancient enemy, into our cities via the green door. No Evidence for Man-Made Global Warming. Let the Paris climate deal die.